Proudly serving Galveston and the entire Bay Area since 1978! 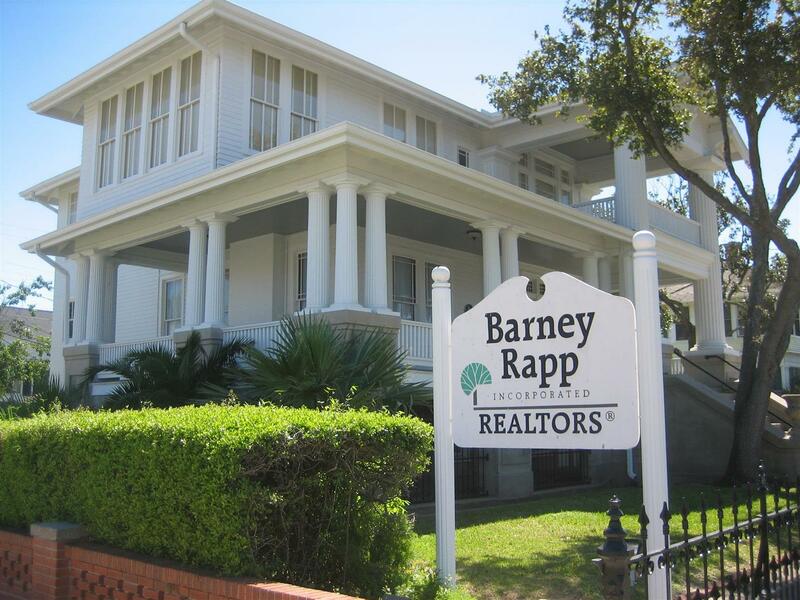 Barney Rapp, Inc., REALTORS is one of the oldest and most respected real estate firms on Galveston Island. It has provided the finest of services in both the buying and selling of residential and commercial properties for over 35 years. Its corporate offices are strategically located in Galveston's famous East End Historical District, close to UTMB, and in the middle of an area of extraordinary growth. This area is bordered by the Port's cruise ship terminals and historic downtown on one side and the seawall and east end beaches, with a new array of highrise condominiums, on the other. Because Barney Rapp, Inc. is committed to offering a full compliment of professional services to its vast clientele, it has an affiliated company, Rapp Management Co., Inc., which is available to lease and manage a wide assortment of real estate investments and is well known for managing homeowner associations for many of Galveston's prominant condominium and subdivision developments. The firm's highly dedicated and versatile sales staff is experienced in listing and selling properties that range from historical to newly constructed and span a geographic area that includes Galveston, Tiki Island, Santa Fe, Dickinson, League City, Friendswood, and Clear Lake. Call Barney Rapp, Inc., REALTORS for all of your real estate needs!